Former EXO members Kris Wu (吳亦凡) and Lu Han (鹿晗) have announced through their own independent studios that their lawsuit with Korean agency S.M. Entertainment has come to an end. On Thursday afternoon, Kris and Lu Han each released their own statements through their respective studios, announcing that they have reached a settlement with S.M. Entertainment. The two former Chinese members of EXO have been in contract disputes with the K-pop agency since 2014. According to their statements, the two members and their representatives have finally reached a settlement with the Korean agency in court. Kris and Lu Han said they can now freely pursue and develop their careers in China without the control of S.M. Entertainment. They thanked their fans and lawyers for their supportive efforts in the past two years. S.M. Entertainment’s legal representatives have also released a similar statement. They also added that Kris and Lu Han’s contracts with S.M. Entertainment are still valid, and they will continue to be until 2022, when it terminates. While they will be able to freely hold activities in China as well as seek the service of another agencies, they must be under S.M. Entertainment’s management if they wish to hold activities in Korea and Japan. 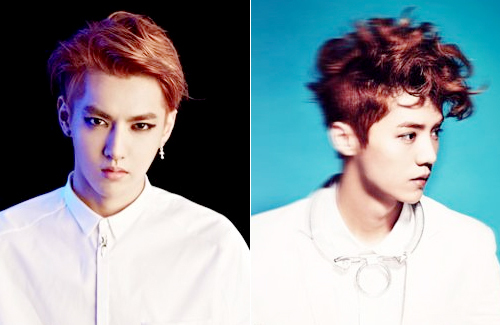 Kris and Lu Han debuted as members of EXO in 2012. They were part of EXO-M, EXO’s Mandarin-singing subgroup that comprised of four Chinese members and two Korean members. In May 2014, Kris filed a lawsuit against S.M. Entertainment, claiming that his contract with the K-pop agency was invalid due to its excessive length, unfair profit distribution, and more. Lu Han filed a similar lawsuit in October 2014. In August 2015, EXO faced its third lawsuit when the band’s third Chinese member, Huang Zitao (黃子韜), filed for contract nullification against S.M. Entertainment. His lawsuit is still ongoing. not sure what the contract really means, so if they concentrate in china that means they are unrestricted? well, sm spent alot of $$ training them, hope they already made their money back when they were in korea. This news is incomplete. It was reported that Kris Wu and Luhan also have to pay portion of their future income to SM. It was speculated about 30%. Why did they sign that contract in the first place? Did they not go through each requirement themselves? I mean 2012-2022 is an extremely long contract. That is 10 years O.O and most groups don’t even last that long. I feel like SM is trying to lock them up with this contract so that even if they do file a lawsuit, they’d still have to pay SM because they already accepted these results. This could also be a lesson for anyone: Any contract should be read carefully before signing because it is a legal document.